The Parliamentary Budget Office (PBO) recently published its annual fiscal sustainability report, which provided long-term projections to assess the sustainability of public finances for the federal government and the provinces. In this context, sustainability simply means that a government’s debt load does not grow continuously as a share of the overall economy. The projections for provincial governments were worrying. Canada’s population is aging. As more people retire and exit the workforce, health-care costs along with retirement benefits will likely increase while there will be proportionally fewer people in the workforce, putting downward pressure on tax revenue. Many provincial governments across Canada just aren’t ready for these changes. In this post, we look at the long-term fiscal challenges in Western Canada. The PBO report suggests that compared to other provinces, British Columbia and Saskatchewan are in comparably good shape (though a recent uptick in government spending in B.C. is worrying) with respect to the long-term health of government finances. Manitoba and Alberta, however, are on track to pile up dizzying amounts of debt in the years ahead. The PBO forecasts that in 25 years Manitoba will have the second largest debt burden of any province (relative to GDP) at 104.9 per cent, behind only New Brunswick. Stubborn deficits and an unhealthy fiscal trajectory in Manitoba are especially maddening given that the province doesn’t face the same type of demographic and broad economic challenges as New Brunswick. Indeed, Manitoba has enjoyed relatively strong economic and government revenue growth in recent years—but successive governments have stubbornly refused to get spending under control, causing avoidable budget deficits to persist. The PBO report shows that if this continues, the consequences for the province’s fiscal health—and the burdens on future taxpayers who will pay interest on all of the debt—will be very large indeed. And then there’s Alberta—until recently, the province with the strongest fiscal position in Canada with no net debt as recently as 2015/16. The 10-figure deficits of recent years, however, and the almost-as-large deficits today, have fundamentally altered that reality. Amazingly, the PBO projects that in 2042 Alberta will have more debt relative to the size of its economy than Ontario, Canada’s red ink poster child. Alberta is the richest province in Canada, so this outcome was completely avoidable with a different approach to fiscal policy that prioritizes spending restraint and balanced budgets. The province’s fiscal problems are somewhat easier to solve than say, New Brunswick’s, but it will take spending discipline that has been absent in Edmonton for a very long time. The recent PBO report shows that provincial public finances are in long-term trouble in provinces across the country. 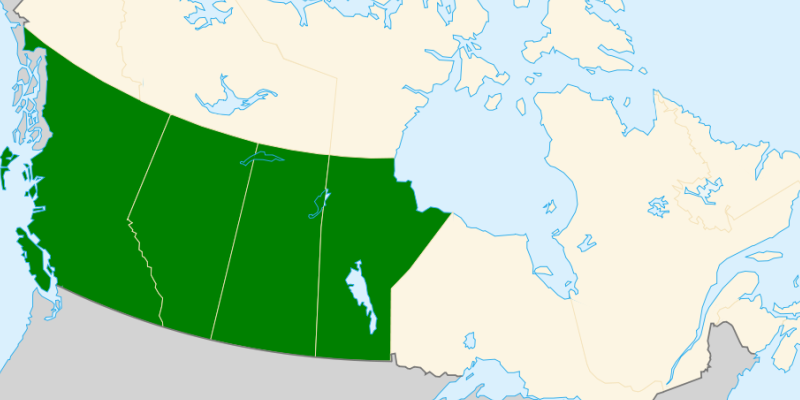 Western Canada is no exception, as both Manitoba and Alberta are on dangerous long-term debt trajectories that could significantly compromise their economic growth prospects and place substantial burdens (in the form of debt-interest payments) on the backs of future generations.